Well, no way was I going to let this situation continue :-). I decided that it was time to get Logitech Media Server (LMS) running with digital room correction utilizing the FIR filters made with Acourate. Years ago, I was able to do something like this with the Inguz Audio plugin in Windows, but sadly I have not been able to get this working for awhile using the latest builds of LMS (7.9.x). There was only one "easy" option left, go Linux and get BrutefirDRC plugin working! 1. Make sure you understand your VM software and how it works... Windows Server 2012 includes a "Hyper-V Manager" for creating VMs, so I just used that. 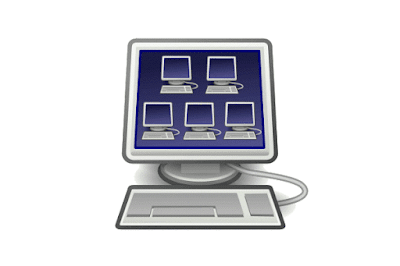 Many other options of course - VMware, Oracle VM VirtualBox... 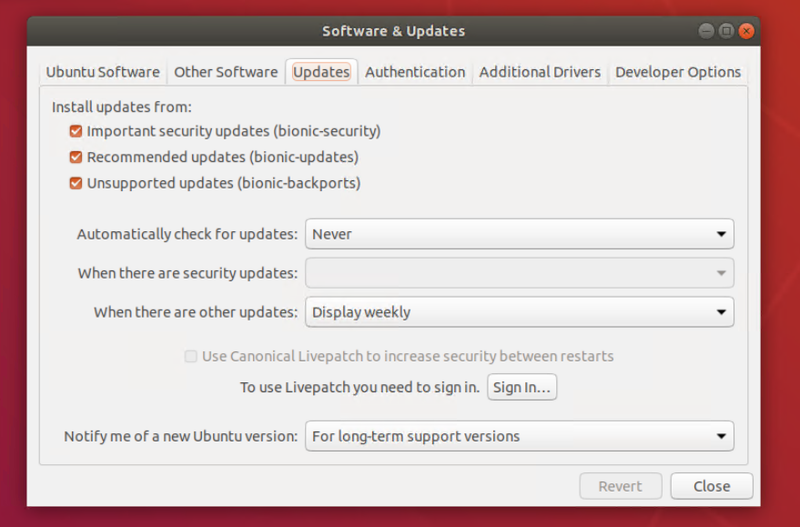 Even more important is which distribution of Linux to get because that determines how software is install. I decided to choose Linux Mint 17.3 (supported to 2017) just to experience another distro and I have heard good reviews. It's based on Debian and Ubuntu so shares the Advanced Packaging Tool system. For me, a small VM with only 15GB virtual HD was all I needed. 3GB of RAM was also adequate - "Enable Dynamic Memory" optional (my Windows Server machine has 16GB of RAM total so this isn't asking for too much). 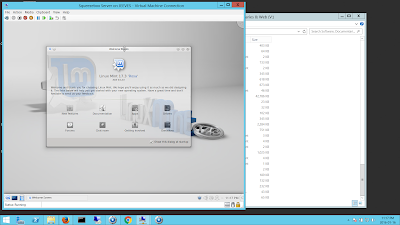 Use 'Generation 1' VM to have access to hardware 3D acceleration emulation. You can now reboot and make sure the /media/Music? files are now mounted and you can see the contents of the directories. 4. Get the BrutefirDRC plugin for LMS from SourceForge. 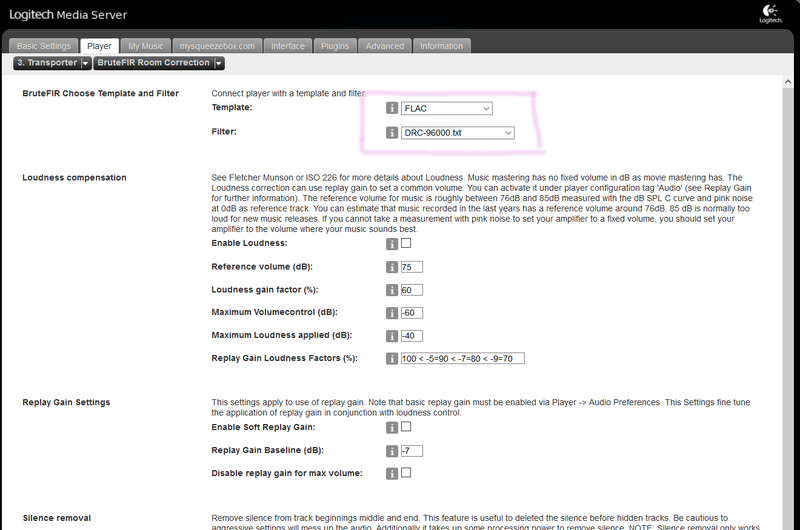 Also download the "filter examples" file which could be useful to examine later when writing the filter configurations. Current version of BrutefirDRC plugin I'm using is 4.1 beta. 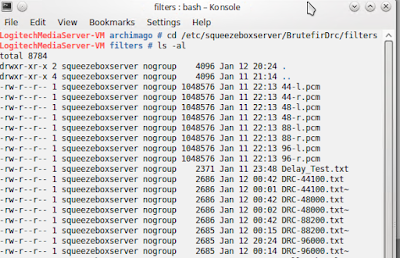 Make the directory: /var/lib/squeezeboxserver/Plugins. This is where LMS expects to see user installed plugins. Then un-tar the plugin there. You should now see the directory "BrutefirDrc" there. By the way, for those who insist on clip-free attenuation, Iggy & The Stooges "Your Pretty Face Is Going To Hell" (from the egregiously loud 1997 DR1 remaster of Raw Power) can be used for this purpose. I reckon that any DSP setting that doesn't clip within 10 seconds on Iggy & The Stooges will be good for 99.9999% of all music! For me, the attenuation would have been as much as -11dB and for most music, the output level would have been too low for my liking. Another thing to consider about the attenuation level is that I could use lower amounts for the higher sample rates like 88kHz and 96kHz. For me, any album with average DR <10 is unworthy of keeping as a high-resolution file (as discussed previously) - no exceptions. Therefore, even an attenuation level of -3dB would probably be completely adequate for clip-free playback for decent quality mastered high-resolution audio. Notice the series of files "DRC-xxxxx.txt"; the xxxxx of course represents the samplerate up to 96000 which allows auto-switching. If you have 176 and 192kHz files, feel free to convert those as well and create DRC-176400.txt and DRC-192000.txt files. 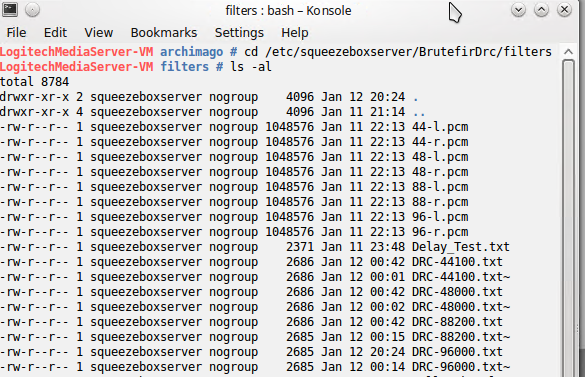 Tip: If at some point you run into what looks like issues with the plugin accessing the settings/filter files, check and possibly chown the files to be owned by squeezeboxserver (sudo chown squeezeboxserver:nogroup *). I remember running into this issue at some point while testing things out early on. Also, I had to delete the BruteFir-created wisdom file in the /etc/squeezeboxserver/BrutefirDrc/settings directory. I've found the FLAC streaming option works well for me. For some reason, the PCM option isn't engaging brutefir for me. Remember the stream will be 24-bits and potentially 96kHz. Remember also that this is a virtual machine and my Windows Server 2012 machine acts as NAS storage which means there's even more data being transferred across the network rather than through a local drive, so a little data compression with FLAC should be just fine at the expense of more CPU processing. Below "Template" is the filter setting. Remember that the plugin is smart enough to switch samplerate so just select one of the files representing the template (in my example here, I selected the 96kHz version of the "DRC-xxxxx.txt" series). To improve speed, also make sure to go into the Advanced --> Performance --> Database Memory Config tab and set it to "Maximum" if you're running with at least 2GB RAM. 8. Now go play some music! If you crossed your fingers / prayed to a higher power / the stars aligned /etc... you should now be hearing your music through the Squeezebox with room correction DSP applied. If so, congrats! If not, good luck :-). I hope this is helpful for those wanting to get Brutefir running on their machine... I certainly am not a Linux guru so if there are detailed questions, check out the official BrutefirDRC Google Groups forum as well. Overall the "virtualization" of LMS functions well. I have not noticed any buffer under-runs even with the inexpensive underclocked 3.3GHz AMD A10-5800K CPU on the server. 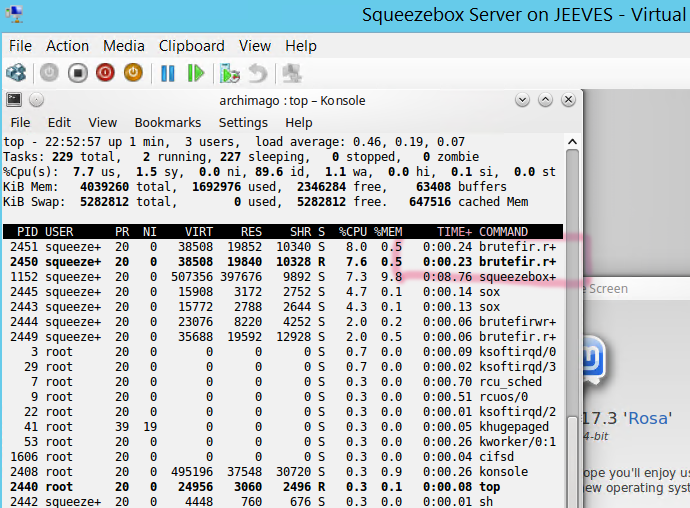 Controls using Android Orange Squeeze or Squeeze Commander remains as fast as when LMS was running off native Windows. The only penalty I have noticed is in the music scanning speed going through the network over SMB/cifs - maybe a 10-20% penalty... Even so, it's not a big deal unless I'm rebuilding the whole music database. The great thing about using a virtualized machine is also that I can easily copy and import the VM whenever I upgrade or change the server (so long as it's an x64 machine of course). So long as the SMB network directories are the same; even if things change, no big deal, just edit the /etc/fstab and change LMS music directories. 1. As noted in step 7, only the FLAC streaming option is working for me so far. Have a great week ahead all. And of course hope you're all enjoying the music! For completeness and future reference. If running Ubuntu Desktop in Windows Server Hyper-V, make sure to install Remote Desktop Virtualization Host in the role services to open up 3D hardware acceleration. Much smoother GUI especially over Remote Desktop and lower CPU utilization. Recent updates to Linux and Windows Server 2016 required me to make sure SMB versions 2 or 3 be used otherwise network mounted drives timed out. Fix this with editing /etc/samba/smb.conf. 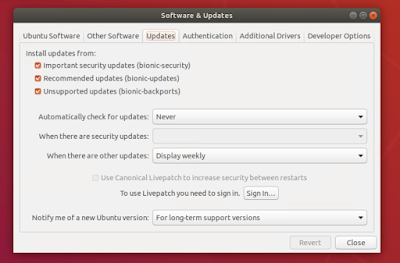 Updated Ubuntu to 18.04.01 LTS - less issue with Samba/CIFS. Also converted to Oracle VirtualBox - much easier, "freer" open source than Microsoft's Hyper-V for my purposes. 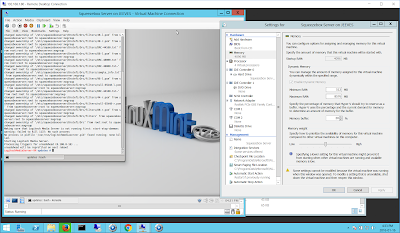 VirtualBox is also better with being able to resize display of the virtual machine without much fuss. Also, more flexible with network set-up (use "Bridged Adapter" mode to run server inside VM). If you have trouble installing a 64-bit VM, turn off the Hyper-V function in Windows (Server). Updated to latest "nightly" version of LMS 7.9.2 (1533033975) also. 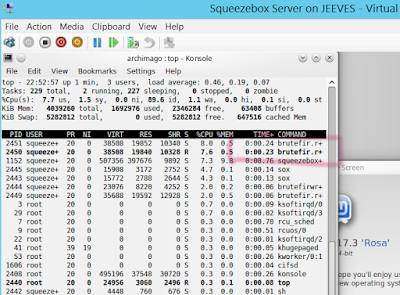 - You can check the Brutefirdrcwrapper log at: /var/log/squeezeboxserver/brutefir.log for errors. 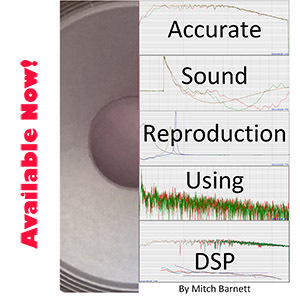 - Provide the system with all the main samplerates - 44.1/48/88.2/96kHz configs and impulse PCM files. Possibly also 176.4 and 192kHz settings if you have many of these files. - Permissions often an issue. chmod 755, chown squeezeboxserver:nogroup -R.
- Give it time for the creation of the wisdom file by brutefir. - Check the link in /etc/squeezeboxserver/BrutefirDrc/settings/filter-xx_xx_xx_xx_xx that it's linking to the correct filter setting like /etc/squeezeboxserver/BrutefirDrc/filters/DRC-96000.txt as in the example filenames above. 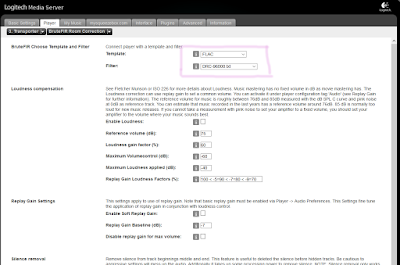 Sometimes the link is not formed properly and need to select the FLAC/filter setting in the LMS settings tab for BruteFIR a couple times. - Feel free to install WavPack 5 for DSD compression and playback. Finally, at this point Linux is stable enough for this simple purpose that I think it's worth not updating for awhile :-). I am currently implementing something potentially similarly simple for my desktop system. Since it is a home office system I use the desktop computer as my source for sreaming. The next item in the line is then the ODAC usb DAC. Next after that is an Emotiva Control Freak volume control, plus some additional 12 db attenuators to play it safe, and that into a refurbished QUAD 405-2 amplifier driving a pair of Harbeth P3ESR mini monitors. It is a very simple system if you do not use analogue sources. Given the proximity of the desk to the speakers there is a bit of bass colouration (absent when I play the same stunning speakers in a more favourable environment). Unfortunately I have no tone controls in the amplification stage to tame the bass, so I installed Equalizer APO on my computer to rectify this. That has more options than I care for, so I still have some way to go, even of it is already clear that using only the most basic functionality of the software the sound is already cleaner. What I am really planning is to use REW to measure in room response, and apply an REW correction curve to the Equalizer APO. I too cannot really imagine audio without room correction anymore. In principle the combination of REW and Equalizer APO should do the trick, but I cannot say that it is easy for computer dummies like me. Cool Willem! That's quite the audio chain you got going... Good luck and hopefully you get everything working well. An even simpler setup would be to use the analogue output of a Chromecast. With that, you avoid the computer and the external DAC. What you cannot do then, of course, is do any equalization. Unless perhaps someone writes an app for that - would that be possible? One thing I have not tried with Chromecast Audio was streaming from JRiver with DSP performed through the DLNA. This will give room correction options and covolution. "Back to the "simple life" with streaming Squeezeboxes :-). Speed and stability of Logitech Media Server, high accuracy 64-bit DRC processing with customization for each player in the Squeezebox family I have set up around my house! Very happy..."
Can you run several instances of BruteFIR simultaneously so that you get room correction individually in all rooms at the same time? Anyone else know? Take up CPU processing but I imagine doable. Its easy with a simple chinese Pipo X9 PC with Windows10, a simple chinese DAC (Douk audio 384k/32-bit) and JRiver (total 200 euro's); works very well and a superior quality. I did run DRC-designer, after initial measuring with REW with Behringer ECM8000 mic, on the PipoX9 with JRiver with no problems; All this can be done on a simple touchscreen, 9inch Windows mini PC; no noisy cooling fans, etc. A good replacement for a HTPC as it also plays video through HDMI, Netflix, etc. Hi Ik Ja. Just Googled this Pipo X9 machine. Not the prettiest but like you say, should do the job :-). Glad to hear you got this going! I am using the X9 since october 2015 ; I did the upgrade to windows10, installed drivers for DAC, installed JRiver and thats it. Keep it simple and you have a very stable system. I use it as a replacement for my Logitech Squeezebox Touch because of the , better, JRiver-software and the very handy 10 inch touchscreen of the Pipo X9; conveniënt and a very good quality on my simple systeem (X9 with JRiver, Synology NAS and Douk-Audio DSD1796 XMOS Asynchronous 384K/32bit USB DAC as a source with direct feed (no pre-amp just a simple switchboard and pot-meter for level-adjustments) to Hypex UcD-400 DIY class-D mono-amps's and B&W801N speakers,and 3 REL subwoofers. no problems for me so far. People often start messing with things; that is OK but often introduces problems.